As a creative person, you'd think I would have all kinds of cool art on my walls. I don't. So today I thought I'd dig up some DIY art decor to share ideas we both can make to spruce up our walls. I don't have the art up because I can't decide what to make… YOU however, I am positive, are much more decisive than I am. So I'll share the inspiration, you get moving and put something up and then let me know how it goes. I'm hoping you'll inspire me to get moving too and get that art up! You can make most anything into decor pieces. Take a photo of your favorite things and turn them into photo art you hang up. Or create a mixed media masterpiece, leave it unframed and hang that beauty up! You can create wall art using recycled materials, paint on canvas, fabric on wood, found objects or whatever else you can dream up. Here are some ideas of DIY Art Decor projects you can make. Use your cutting machine (like a Cricut) to create word art with a colorful peek-a-boo background. I love the saying in this piece! You can get the full tutorial to make this watercolor wall art from Kids Stuff World. Head over to DIY Candy to learn how to make your own cool patterned picture frames for all your favorite photos. Then hang them up on the wall and call it art! Use nail polish and a marble technique to create this cool Marble Art Decor wall art. Find out how to make your own at Mad in Crafts. Thankful trees are note just for Thanksgiving! We had this tree up for almost 2 years. The leaves and flowers changed with the seasons just like the pillows on my couch. I took it down last year, but I think I'm going to grow a new one, I miss the Thankful tree! 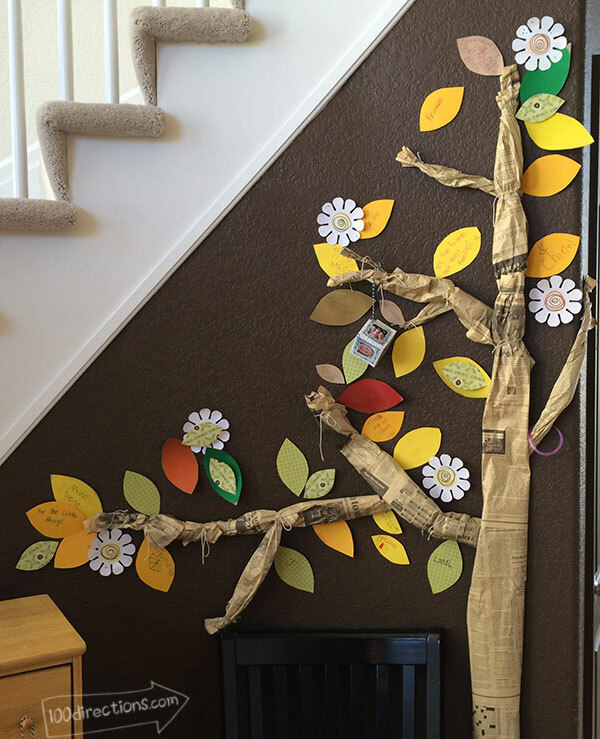 Find out how we created this DIY Thank tree wall art. Don't forget the kitchen! Add a little extra style to your kitchen decor with this DIY Coffee Art. This great project idea is shared over at Being Spiffy. Use a variety of materials and supplies to make a mixed media collage. This art was created using fabric, sewing and a cutting machine. More art with your cutting machine? Yes please! (although you could do it by hand if you'd like… get the tiny scissors). Create cut outs of your favorite states, frame them up and display them. Bam! You are going to rock this State Silhouette decor… check out the full tutorial at Organize and Decorate Everything. Oh a mixed media monogram! Grab a pile of materials: paper, fabric, found objects, ribbons, paint.. whatever you have. 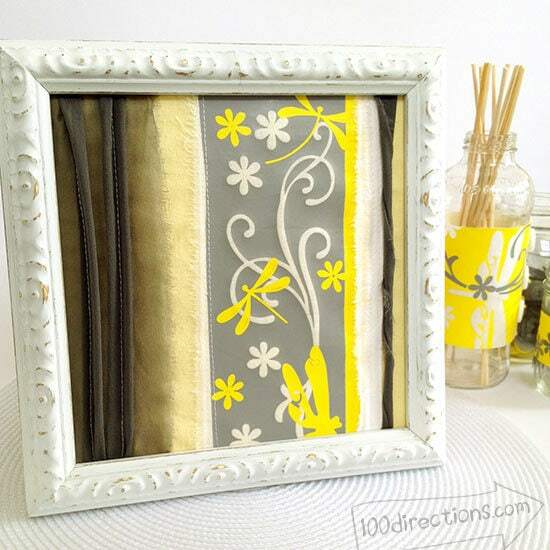 Mix it up, play around with it, glue it all down or even sew it into place and you have yourself some mixed media art. Add a big letter to it and you can call it a monogram. Ta Da! That's really all there is too it. 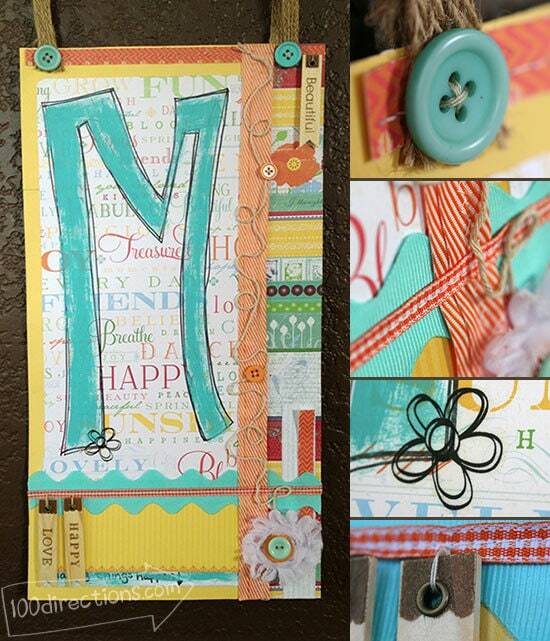 Check out the how to for this monogram mixed media I created. I dug through Pinterest – which only takes about 30 seconds, wow I'm tired! – and found all these amazing wall art ideas. There really are a million different things you can do to create your own amazing art to decorate your home. You don't need to be a master artist nor a millionaire to have beautiful art on your walls! I know… then I have no excuse either… except time. Use sticks from around your home and lights to create a pretty lighted wall decor piece. I love love love this idea.. nature + twinkly lights = win for everyone! Steal some of your kid's plastic animals or dinosaurs, paint them up and call them art. Toy animal art – Such a super cute idea! String art is all the rage right now. It was hot when I was a kid and I remember loving the hands on creativity. I'm not that old, I don't think the cool-factor of this technique ever died, it just took a little nap. You can grab some string art patterns and learn more about making string art from Jesse over at 9 Red Design. If you don't want to make the string art yourself, he has an etsy shop and he will make it for you – YAY! – pretty awesome stuff! Create a larger wall art design using cut paper and string. You can use and paper cut out shape you like, but I do adore these hearts. So much love right on the wall! Make a message to hang on the wall with paint and pallet. Get the kids involved and make a family art project. Use colored paper and make a collage. Use scrapbook or patterned paper to create beautiful patterned block art. Use printables and photos to make a fabulous photo art wall. There are really so many great ideas for creating your own art decor. Your imagination and maybe your materials are the only limits. Experiment, play around with some ideas, let your creativity take over for 15 minutes! I'd love to hear about your favorite art decor projects, pieces or items on your wish list!